Reminiscent of the shape of beer taps, these rectangle stir sticks are popular complements for drinks, cocktails and even food skewers. 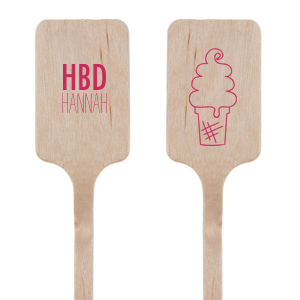 Use our simple on-page customizer to create your custom wooden stir sticks with your choice of foil and design. 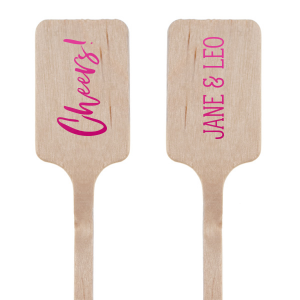 Printable on one or both sides, each rectangle custom stir stick will add a personalized touch to your party that you and guests will love. Put decorative details into your wedding reception by adding these custom rectangle drink stirrers to your table. 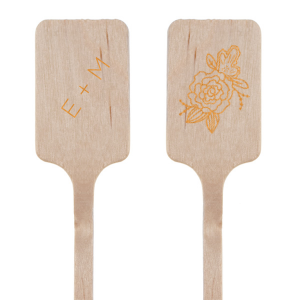 We foil stamp these wooden stir sticks for a natural but polished look. Choose from a variety of foil colors to match any palette, from shiny to satin to matte you can find the perfect foil to stamp your custom drink stirrers. 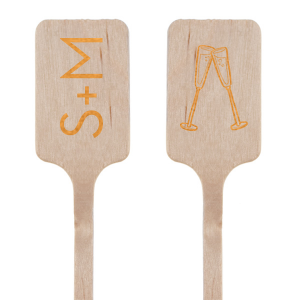 Add these swizzle sticks to your after-dinner coffee, complement that custom wedding cocktail you're serving or skewer appetizers for a quick, hand-held bite. 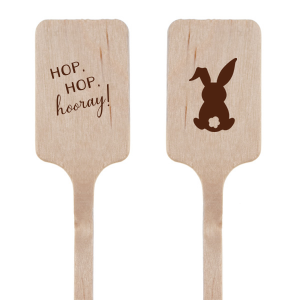 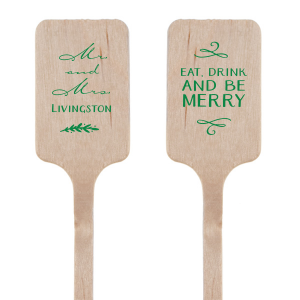 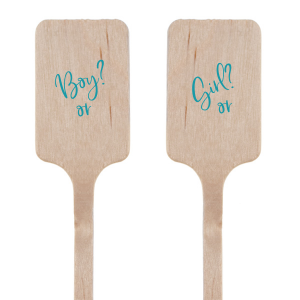 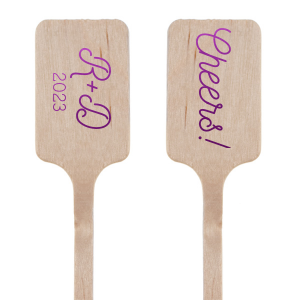 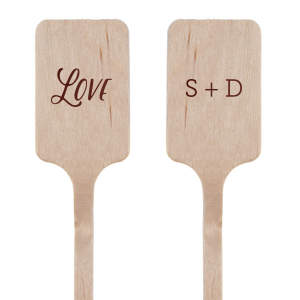 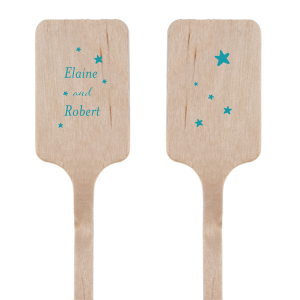 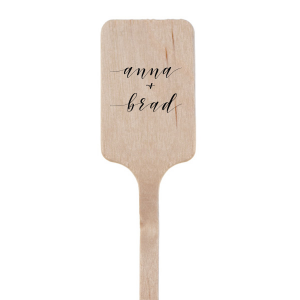 Customize your drink stirrer with a cute graphic from our library of wedding graphics. 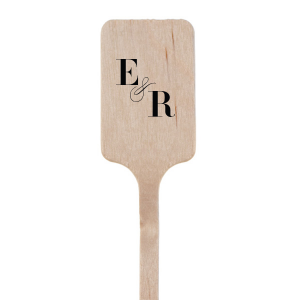 Or add your initials or personal monogram for drink stirrers with a classic touch. Your foil stamped wedding drink stirrers are sure to be picture perfect to put on display for your guests. 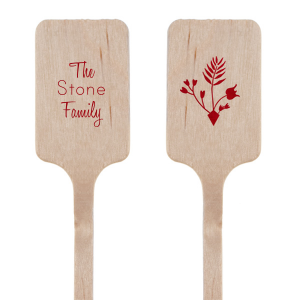 Choose from our gallery of pre-made designs or create your own rectangle stir sticks! 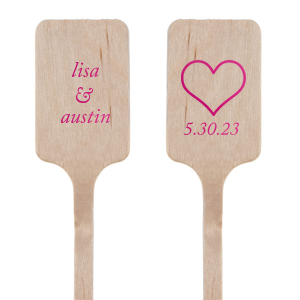 You’ll be so happy with the product that you’ll want to order these for more than just your wedding. 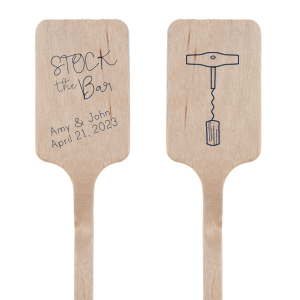 Rectangle drink stirrers are great for baby showers, anniversaries and any event where you want to spruce up the bar. 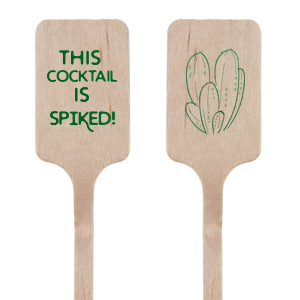 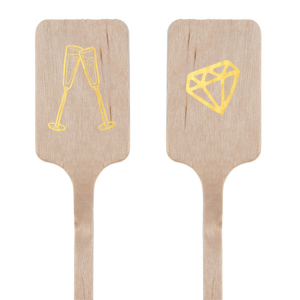 You can even gift these cute drink stirrers to be kept on a home bar cart. 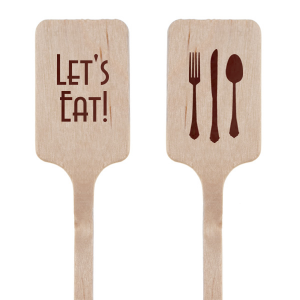 Our customizer allows you to create the right rectangle stir sticks for your celebration.